When it comes to injectable opioids, Thompson’s assessment might be partially accurate, but one thing is abundantly clear: FDA doesn’t apply this laissez-faire approach to many of the products it’s tasked with regulating, including tobacco harm reduction (THR) products. THR products include smokeless tobacco, electronic cigarettes, and heat-not-burn devices. Despite their many positive health impacts, FDA deemed electronic nicotine delivery systems as “tobacco products” in 2016, and since then, no new THR products have come to market. Furthermore, FDA has essentially blocked all new THR product developments. THR products are a consumer-driven, disruptive technology. They deliver nicotine to consumers without the harmful constituents in combustible cigarette smoke, and evidence of their high efficacy as a safer alternative to traditional cigarettes continues to mount. After decades of analysis, smokeless tobacco has been proven “at least 98 percent safer than smoking.” Furthermore, using electronic cigarettes and vaping devices is “unlikely to exceed 5% of the harm [caused by] smoking tobacco.” Many public health groups—including Public Health England, the Royal College of Physicians, and the American Cancer Society—acknowledge the reduced harm of electronic cigarettes. The United Kingdom even promotes the use of e-cigarettes in its national anti-smoking campaigns. Heat-not-burn is an even newer technology designed by Phillip Morris International (PMI) and Reynolds American. These products are designed to heat tobacco, rather than burn it. After PMI’s heat-not-burn device called iQOS was introduced in Japan, cigarette sales dropped. Studies found iQOS reduced exposure to the harmful components of combustible smoke and using iQOS “can significantly lower the risk of [chronic obstructive pulmonary disease].” Unfortunately, due to the 2016 FDA regulations, these products are not available in the United States. How does FDA justify its regulations on the THR industry? It claims they are necessary because the regulations on THR products protect children from the hazards of smoking. According to FDA, THR products are a gateway for combustible cigarettes. 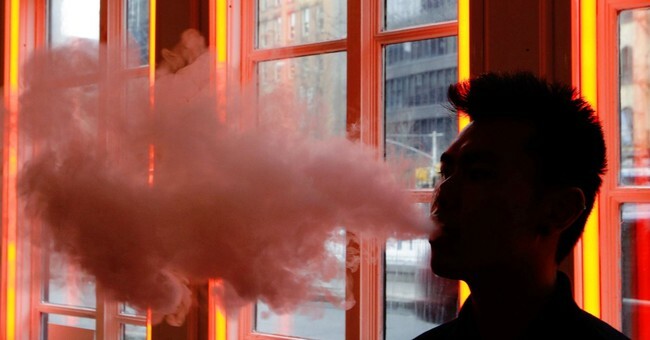 Furthermore, FDA argues THR products increase youth smoking habits. Such alarmism threatens the research behind THR products and ignores the facts. As numerous studies from European health agencies and researchers in the United States have concluded, the presence of THR products improves public health. It’s not fair to limit the options available for combustible tobacco users looking to quit by removing THR products from the marketplace or preventing new THR products from receiving government approval. This is especially true since many nicotine replacement therapies, such as gum, have a dismal track record. The market shows there is robust demand for THR products, yet FDA seems intent on preventing consumers from purchasing these safe and beneficial products. FDA should reverse course on this important issue and embrace sound science.